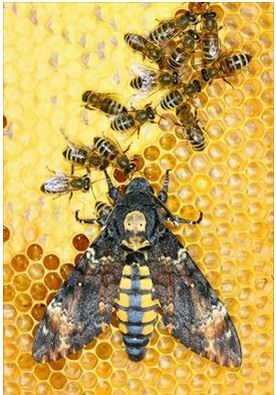 Butterfly Conservation West Midlands have published this fantastic photo of a Death’s Head Hawkmoth taken visiting a beehive. Learn more fascinating facts about this moth by clicking this link. This entry was posted in News on 21/01/2015 by admin.